Yesterday was a big deal for me. And if you follow me on Facebook, Twitter or Instagram you saw me freaking out yesterday afternoon. 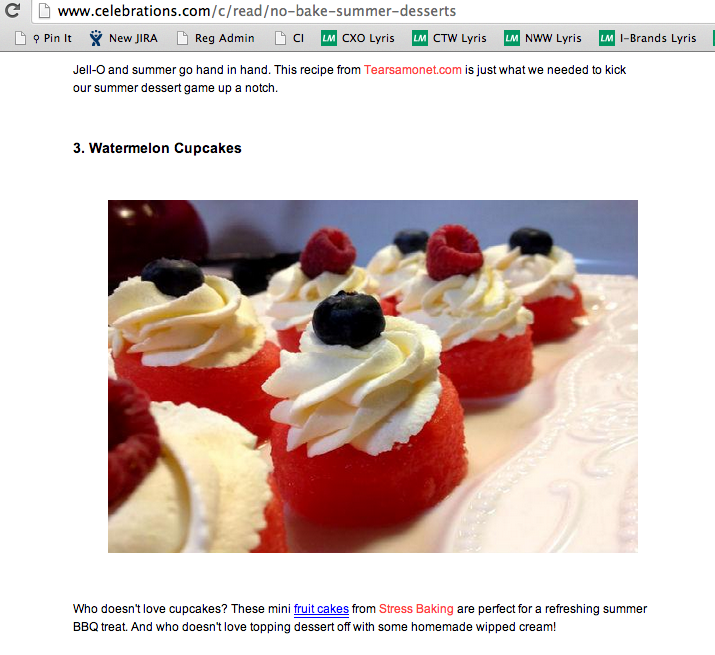 I got an email from a lovely woman at Celebrations.com to let me know my Watermelon Cupcakes been featured in their post, “Keep the Kitchen Cool This Summer With These 11 Delicious No-Bake Desserts”. I feel honored to join the likes of other bloggers that I admire like The Comfort of Cooking. Check it out and make sure you visit the other featured sites in the list – it all looks delicious!